African countries can meet climate targets promised in the landmark Paris Agreement by catalyzing trillions of dollars in private investments through a combination of smart policy reforms and innovative business models, according to a new report b a member of the World Bank Group. The report identifies seven industry sectors that can make a crucial difference in catalyzing private investment: renewable energy, off-grid solar and energy storage, agribusiness, green buildings, urban transportation, water, and urban waste management. Already, more than $1 trillion (R15 trillion) in investments are flowing into climate-related projects in these areas. But trillions more could be triggered by creating the right business conditions in emerging markets, the report found. IFC’s Creating Markets for Climate Business report offers several examples of such an approach. Zambia was experiencing daily blackouts, stemming from drought that had crippled its hydroelectric capacity, when it became the first country to sign up for Scaling Solar in 2015. The government aims to build two large solar plants as part of its long-term strategy to generate 600 MW from solar. Johannesburg Water demonstrated how PPPs can succeed in meeting development and climate objectives in the water sector. The municipality set out to establish a privately-operated utility in Johannesburg, South Africa, in 2000, when city water and sanitation services were facing bankruptcy. It has since installed biogas-to-electricity generation in several wastewater facilities. Biogas scrubbing and combined heat and power cogeneration projects were installed in 2012. Renewable energy investments could climb to R115 trillion cumulative by 2040—reforms such as renewable energy auctions, land title reforms, and supportive energy storage policy frameworks would make this possible. 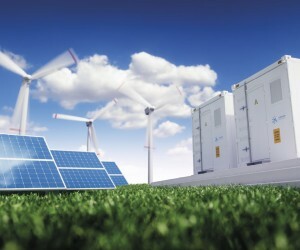 Investments in off-grid solar and energy storage can reach $23 billion (R115 trillion) a year by 2025—if countries use differentiated tariffs, clear technical and safety standards, and targeted financial incentives while supporting new business models for community based solar such as Pay-as-You-Go and innovative finance solutions such as asset securitization. Trillions of dollars of agribusiness investment can become more "climate-smart"—if governments ensure property rights, good transportation infrastructure, and regulations and fiscal policies that encourage climate-smart investment while promoting improved farmer-training practices and using financial innovation to provide working capital for farmers.Investments in green buildings could reach $3.4 trillion (R51 trillion) cumulative by 2025 in key emerging markets—if countries adopt better building codes and standards and create targeted financial incentives such as green-building certification and mandatory benchmarking of energy use. Other important reforms should encourage new utility business models, such as green mortgages and energy service companies. Trillions of dollars in investments in sustainable urban transportation can be mobilized in the coming decade—if governments issue mandates to enable infrastructure investments and adopt municipal transit plans that can spur innovations, such as light rail. Investments in water supply and sanitation could exceed $13 trillion (R195 trillion) cumulative by 2030—for this governments would need to establish water pricing at predictable and sustainable levels to increase the creditworthiness of utilities while entering into public-private partnerships and adopting performance-based contracts. Investments in climate-smart urban waste management could reach $2 trillion—if cities work to attract private sector participation through improved regulatory and enforcement frameworks, using economic incentives and cost-recovery mechanisms such as feed-in tariffs, and driving waste-conscious consumer behavior. Addressing climate change is a strategic priority for IFC. Since 2005, IFC has invested $18.3 billion (R195 trillion) of its own funds in long-term financing for climate-smart projects and mobilized an additional $11 billion from other investors. The latest report is a follow-up to the Climate Investment Opportunities report issued by IFC last year, which found that the Paris Agreement could create $23 trillion in investment opportunities for 21 emerging-market countries.